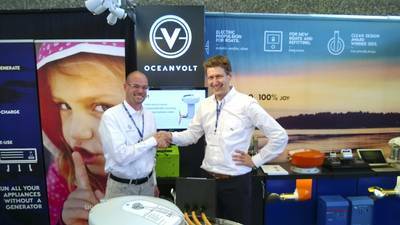 Finnish electric propulsion specialist Oceanvolt entered a two-way relationship with Victron Energy. The two companies will integrate their products to work as a unified system, which will form the base of Oceanvolt's SEA (Silent Electric Autonomy) concept. Oceanvolt SEA system enables, among other things, running A/C and other appliances without using a generator by converting the electricity from the propulsion system battery into 220VAC. Oceanvolt will offer its customers systems which use Victron Energy's charger/inverters, solar charger controllers and other electric components together with its propulsion system. Oceanvolt's electric propulsion systems have already been installed in more than 50 customer boats.